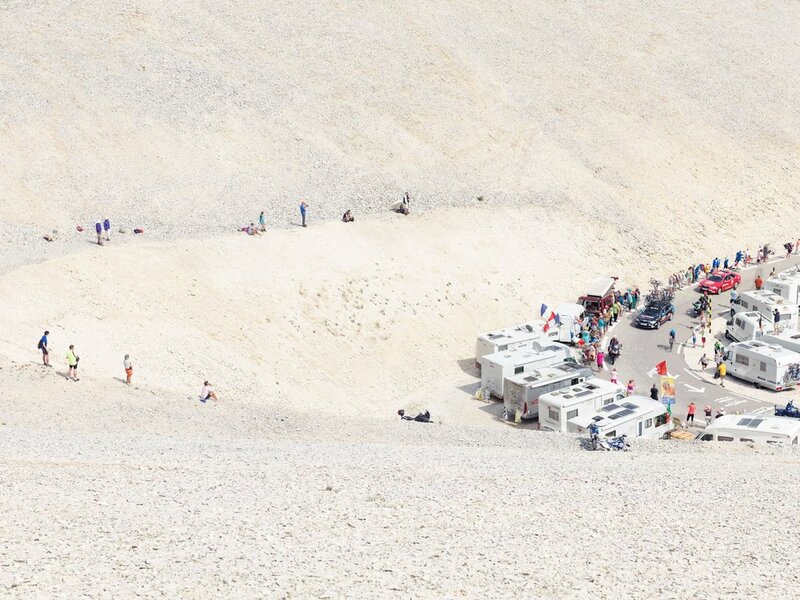 We talked with the photographer Michael Blann about his book "Mountains, Epic Cycling climbs". 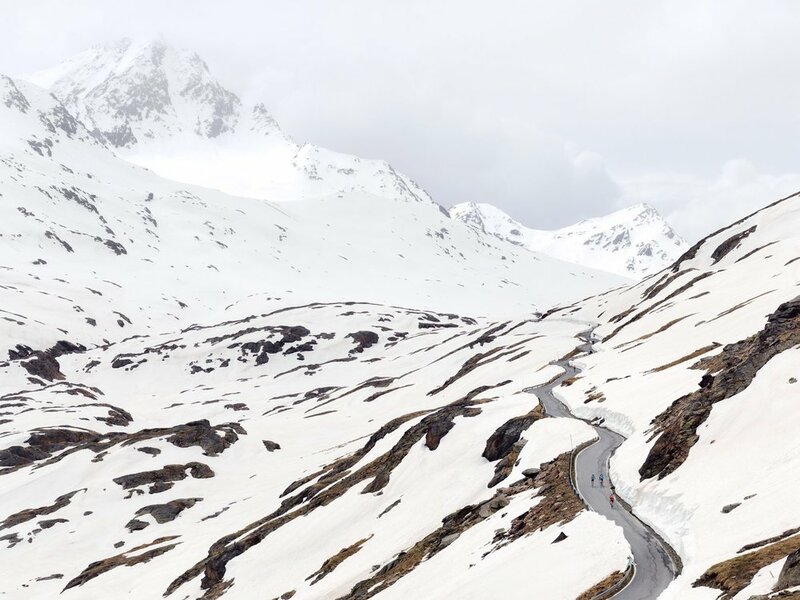 A journey throughout the most famous European climbs within the history of cycling, the images demonstrate the beauty of these mountains, through all seasons and during the Grand Cycling Tours. As you mention in your book, after having spent a year cycling through Australia you decided that the professional world was no longer your path. What made you realise this or what made you take this decision? I probably knew before I raced in Australia that the chances of taking my cycling to a professional level were very slim but I wanted to give it my best shot and if it didn’t work out, I’d have no regrets. The pivotal moment came though riding the Great West Tour which was a 9 day stage race. I remember one stage, hanging onto the tails of the bunch and looking up to see another 19 year old, Darren Smith fighting for the win (he eventually took 2nd place overall and went to the Olympics but was tragically killed in a road traffic accident a few years later). I knew then, that I needed to be winning these races to stand any chance so at the end of the season I headed back to the UK to take up a place at Art college. What did you learn whilst creating the project on European cycling climbs? The project was very much a mapping process for me. I grew up watching the Channel 4 coverage of the Tour in the mid 80’s and was fascinated by all the exotic names of the climbs and mountains. I had no idea where any of these were but the Mountains project joined up all the dots and gave me a visual and geographical reference to the names I had heard 30 years ago. When I look at your photos I feeling like I’m on a bike trip, looking up from the tarmac, the handlebar or from my cycling partner in front of me in order to relax my sight and self or to drift away in my thoughts that my only dream at that moment is that after that curve in front of me, there is finally a decent.Do you feel that at times we miss the scenery’s around us and in the world of cycling due to the fact that we are more worried about competing and achieving a time record? Yes very much so. Through the project I wanted to show people the geography and geology of the mountains they were climbing and the fact that these mountains have been there millions of years and the human presence is insignificant in the wider scheme of things. This also played into the idea that the Grand Tours are like travelling circus’s, which visit the mountain for a day and are gone the next. The mountain remains the constant. Your book has made me think that the mountains are constantly observing us, cheering us with their beauty at times but also giving us a hard time when they decide to blow. When you where at the top, what thoughts came to you about the show or adventure of cycling in Europe in the eyes of a mountain? I think what came apparent is how much cycling is in debt to the mountains. There’s a symbiotic relationship between the racing and the mountains by which I mean the mountains provide the platform for these great shows of cycling endeavour to play out and in return the racing gives the mountains history and an identity. It’s why people are drawn to the famous climbs like Alpe D’Huez or the Stelvio or Ventoux. They want to connect the emotions they have experienced watching the Grand Tours with the physical space, the mountain. Do you think that the fact of being a cyclist has influenced you on this or any other of your projects that have not been related to cycling? Not just for the fact of knowing the famous climbs or creating this project, but more related to compositions or searching for the concept of your photographs. I think cycling and photographing are very similar disciplines for me. I took up cycling to roam and explore and photography allows me to do a similar thing. I’ve always been drawn to large open spaces so photographing the Mountains was a very natural process. I also prefer to be the passive observer so I will step away from the action and view it as a silent bystander. I would watch the Tour caravan snake it’s way up the mountain in the distance, knowing there is a cacophony of sound at the road side but from my position, just the natural sounds of the mountain. We always talk about the best cycling climbs in Europe, we on the other hand, have cycling tours in Málaga through routes that are rarely known but never the less outstanding. Do you think you could have created a project of the same quality with mountains that are unknown to cyclist? It’s possible and I think people should look beyond the most famous climbs but people are drawn to the history. Alpe D’Huez is a case in point. It’s probably the most famous cycling climb but on any normal day, it’s a main road up to a ski station. It’s not spectacular and doesn’t have amazing views (in fact it was one of the hardest climbs to photograph for the book because of the expectation). Maybe I should come to Malaga soon! Human kind transforms the landscape wherever he goes, be it, when we go on cycling holidays, competitions or just simply to work. Do you search for the special moment when you compose your photo to capture the instant that decorates the landscape? It’s a hard question to answer. Some shots I have a pre-conceived idea of what I want to capture and others evolve when I’m there. It’s true I have different emotions attached to different climbs. Before I photographed the Col de Galibier I had suffered badly on a very cold, wet ride to the summit which had left some dark impressions on me. I wanted the photography to reflect some of these feelings so photographed the mountain in shade and at night. Do you believe that your photography exposes the feeling or personal state of wanting to draw away from the hustle of the show of cycling, like in projects like “Mountain, European epic cycling climbs”, “watching the Giro” or “Monte Zoncolan”? Yes it comes back to the passive observer. Essentially I’m interested in man’s place in the world and his attachment to the physical space. The is a hierarchy or order in everything we do and this becomes more apparent when you step away and observe. What was your work process on these mountaintops? Did you work and/or sleep on them to achieve the photo you where looking for? Yes I was often camping to ensure I was on the mountain at first and last light. You can spend a long time driving up and down mountains! I also like the peace and quiet. And last but not least, we would like to know if you are thinking on a new project -related to cycling or the mountain. Do you think that Mountains, epic cycling climbs could have a second volume? People have asked me about doing a world mountains book but I think the provenance and history of the European climbs was key to this project. I’m not sure other climbs would hold the same fascination. I would like to do something on Columbian cycling and I also have other interests outside cycling. Foucauld Duchange and Bertrand Trichet presents us his journey, 1 500 kilometers - D+ 27 000 meters in 9 stages.